Over deze DAC zult u snel met me eens zijn voor deze prijs krijgt een geen DAC die op zo/n hoog niveau speeld als de T+A DAC 8 DSD. De klank is zo open, neutraal en muzikaal. Dat je verwacht dat dit een veel duurdere dac is. Echter niets is minder waar. Deze DAC is zeer goed intergreerbaar met elke loopwerk en of muziek streamer. Daarnaast is het natuurlijk de perfecte combinatie met de rest van de 8 serie. Je ziet natuurlijk de Duitse bouwkwaliteit er in terug, gebouwd om zeker de komende 20 jaar mee te gaan. 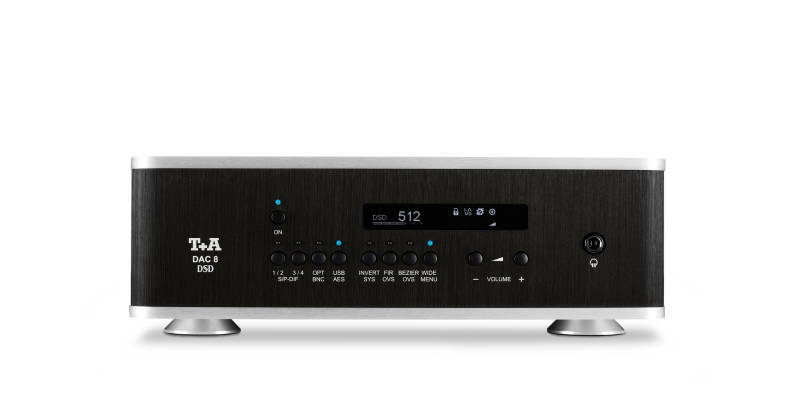 Fundamentally our new DAC 8 DSD is capable of doing everything necessary to convert every form of digital source into analogue signals at the very highest quality, including DSD right up to the highest possible resolution. We have again further improved the unit’s outstanding pre-amplifier, and incorporated a volume control of fully analogue construction based on High-End Melf resistors. The “State of the Art” output stage is of fully symmetrical design and discrete construction. Its impedance is very low, and it is equipped with symmetrical(XLR) and asymmetrical (RCA) outputs. These features make the DAC 8 DSD more than just a High-End converter: it is also a High-End pre-amplifier of supreme quality. 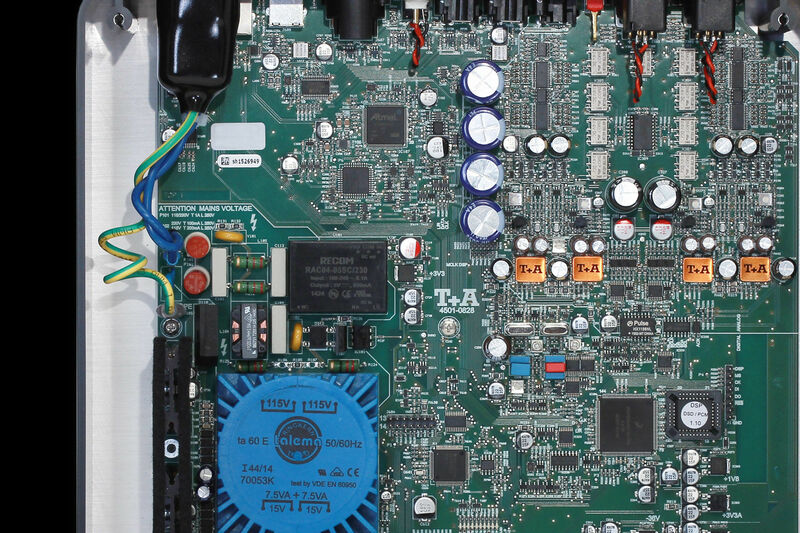 The seriousness of our claim that the DAC 8 DSD is one of the world’s finest high-end converters can be judged by the fact that we employ two separate, sophisticated mains power supplies for the analogue and digital sections. A volume control is another unusual feature in a DAC, but it makes good sense if the user wishes to install active loudspeakers, or employ the DAC 8 DSD as a pre-amplifier in conjunction with external power amplifiers. The volume control is of highly refined design, and exploits analogue control elements down to low volumes, as they avoid any loss of dynamic quality even at low listening levels. Two gold-contact relays are provided to by-pass the volume control, i.e. it can be removed entirely from the signal path when not required. We placed particular emphasis on the development of a very good headphone amplifier with the ability to handle high currents. This further widens the practical applications of the DAC 8 DSD.